Vermont’s resorts have prepared a slew of deals to get skiers and snowboarders to the hill this December. Start off the holiday season with discounted vacation packages, learn-to-turn programs and more. Purchase the Sun Mountain Card at Bromley and your first lift ticket is free. Save $30 off Monday through Friday, $20 off Saturday through Sunday (non-holidays) and $10 off on holidays. Purchase before Dec.15 and save an additional $10. 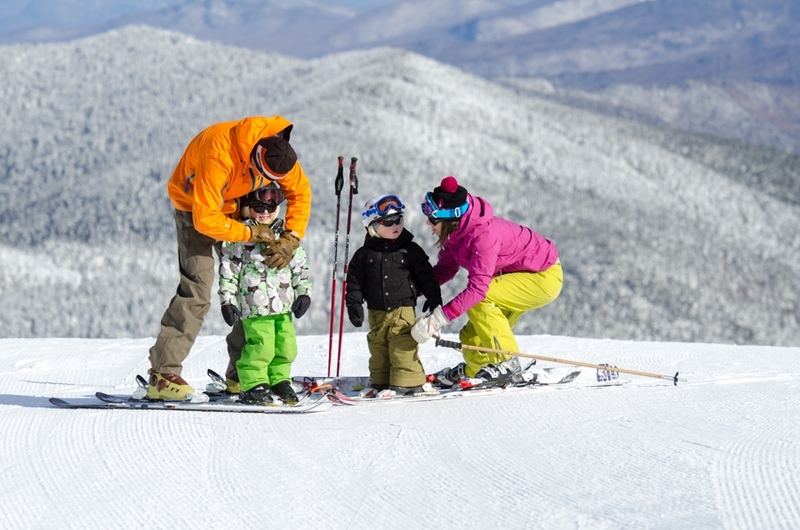 Killington offers visitors many ways to save this season with their in advance online savings, Bring a Friend, Ski Free program and their 4-Day Discovery Program for Adult First Timers. Their 4-day Discovery Program for adults includes a two-hour lesson, rental equipment and a lift ticket each day for $399. Learn on Elan skis and Burton snowboards, and receive brand new versions of these skis and boards with bindings prior to completing the fourth lesson. Mount Snow lift tickets are now on sale with savings for the 2017-18 ski season when you purchase in advance. But hurry, prices increase as more tickets are sold. With the Festival of Lights Lodging Savings Package at Okemo save more than 50 percent off regular pricing. Visit for three nights or more, with arrival on or after Dec. 10 and departure by Dec. 22. Includes a $100 resort credit. Save 30 percent on lift tickets to Stowe by purchasing at least 48 hours in advance online. Save big at Stratton with their One Nighter deal where visitors spending one night and two days on the slopes with rates starting at $238 for two people. Want to spend the holidays slopeside? The Holiday Getaway Package offers three nights of lodging, four day tickets and access to the training and fitness center for one very discounted price. The Pillow Four Pack is four nights of pre-packaged midweek, non-holiday lodging at Sugarbush Inn. You can use all four nights consecutively, or split them up and use them when you want during the 2017-18 winter season. Regular for $399 or Deluxe at $449. Enjoy the Wake Up in Woodstock Package at the Woodstock Inn near Suicide Six with luxury accommodations, a hearty country breakfast each morning and a bottle of delicious Vermont maples syrup to take home after the weekend.